In honor and recognition of the vital role anti-doping scientists play in the fight for clean sport, USADA has proudly awarded the 2nd Annual Larry D. Bowers Excellence in Anti-Doping Science Award to Dr. Wilhelm Schänzer of the German Sport University Cologne. Presented on September 30 during USADA’s 16th Annual Symposium on Anti-Doping Science in Orlando, Florida, the Award and accompanying cash honorarium recognize the numerous contributions to anti-doping science that Dr. Schänzer has made over the last three decades. Dr. Schänzer’s work on the structure of anabolic steroid metabolites resulted in a seminal publication (1992) entitled, “Metabolism of anabolic steroids in man: synthesis and use of reference substances for identification of anabolic steroid metabolites.” His publication also allowed for the provision of reference materials to the anti-doping laboratories. Following this publication, Dr. Schänzer continued to study steroid metabolism, with a particular focus on metabolites that increased the detection window. His 2013 paper using LC-MS/MS demonstrated how to detect Phase II metabolites of stanozolol for 28 days after the administration of a single oral dose, illustrating Dr. Schänzer’s world-class expertise in separation science and mass spectrometry. 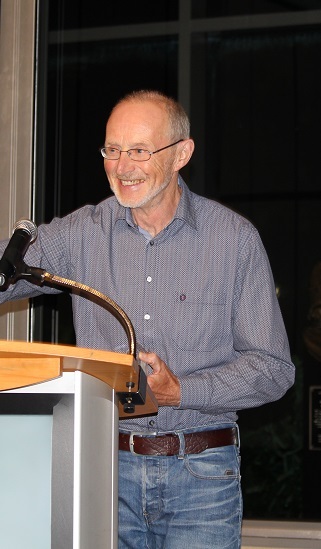 In addition to publishing more than 750 papers throughout his career, a colleague noted that Dr. Schänzer was “the true scientist who never lost the curiosity, the motivation, the commitment, the enthusiasm of a young post-doc.” Dr. Schänzer leveraged this enthusiasm to further contribute to the field by training numerous graduate students, post-doctoral fellows, and laboratorians. In 2016, the Award was first granted and created in honor of Larry D. Bowers, who served as USADA’s Chief Science Officer before retiring in November 2016. In addition to his 16 years of service at USADA, Dr. Bowers served as the director of an accredited anti-doping laboratory for eight years and published more than 100 peer-reviewed publications. As an internationally renowned anti-doping science expert, Dr. Bowers also founded the USADA Annual Symposium on Anti-Doping Science in 2002 to advance anti-doping science and facilitate global collaboration. With the 2017 Award granted, the nomination window for the 3rd Annual Larry D. Bowers Excellence in Anti-Doping Science Award is now open and nominations can be submitted through March 1, 2018. Qualified nominees will have contributed to anti-doping science over an extended period of time, while also demonstrating investigative independence and excellence in scientific work. More information on the nomination process and nominee requirements can be found here.